We are experts in designing Home cinemas to fit in with a variety of scenarios. However for a dedicated room, we have partnered with CinemaTech bring you fully worked Home Cinema designs completely customisable to your tastes and to the room’s physical constraints. We can take your room dimensions and design a complete system including the carpentry, tiered floors, lighting, sound system, projection system, wall finishes and acoustic room treatment, seating, automation and anything else you can think of ! A large selection of standard “themes” are available – or you can choose something completely new. Together with the décor and overall feel, we can add the WOW factor with electrically operating panels, curtains & blinds etc. See our section on Home Automation Systems for further details. 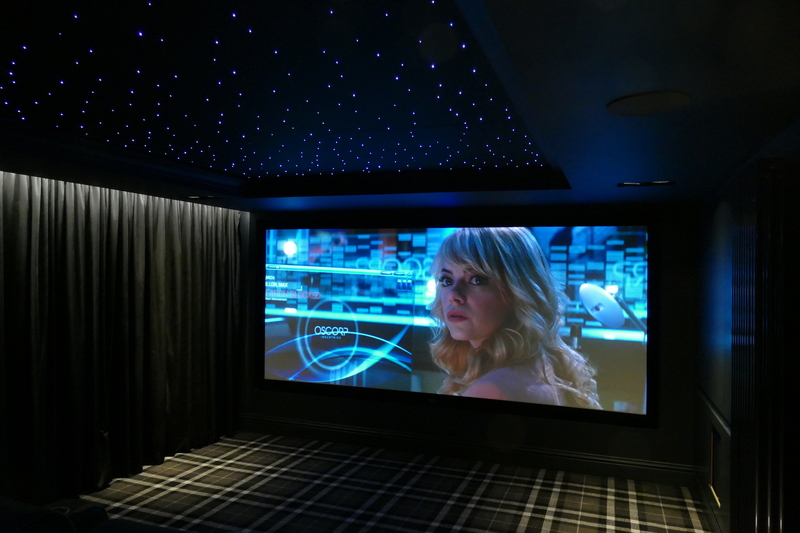 The addition of CinemaTech’s Acoustic Room Systems (ARS) has further expanded our reach into the installation of complete acoustically superior yet aesthetically pleasing Home Cinema environments. The ARS treatment of a room comes in the form of careful modelling, then applying diffusing and absorbtive panels in key places to modify the room’s acoustic properties to minimise the impact the room has on the music. These panels are then covered with attractive acoustic fabrics and form part of the overall room design dissapearing into the theme of the room. The majority of rooms are fairly simple, however we frequently get a brief where the furniture etc has to be placed a little more carefully due to limitations on space. In this case we design a computer model, to ensure everything fits (see our Subterranean room example). We design Home cinema systems to Dolby Atmos, DTS-X, and Auro-3D standards, and our systems vastly excel the minimum standards required by THX standards. For the discerning client who would like the pinnacle of cinema experiences, we have The Ultimate Home Cinema – Prices from around £250,000. There are of course as many Home Cinema Designs as there are people to design them, and customers to enjoy them. 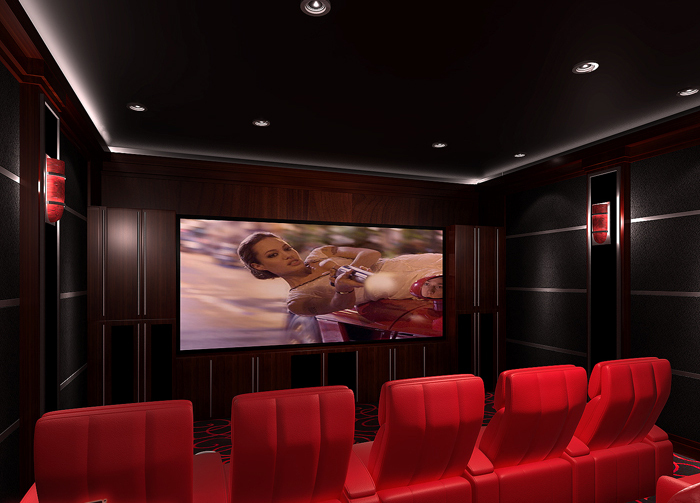 Our colleagues at Cinematech have designed dozens of high spec home cinemas, and have a wealth of experience and ideas. Visit the Cinematech design Gallery page to explore some of their ideas.